The Phang Nga Bay National Park, comprising 42 islands framed by huge vertical limestone cliffs, takes your breath away. 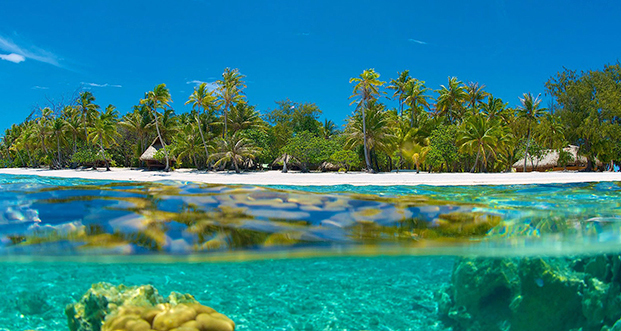 When you visit with Kesari Tours, enjoy a spectacular cruise, explore mangrove forests, sea caves, limestone rock formations and James Bond Island. Some of the loveliest islands in Southeast Asia, Phi Phi Islands offer tropical beaches, splendid rock formations, and gorgeous turquoise waters. Krabi Island, situated amidst pointed limestone karsts protruding from the mangroves, is a sight to behold. Uplifting! Phuket’s Patong Beach, with its three-kilometre long sandy stretch, has a rocking nightlife and some lovely secluded stretches too. 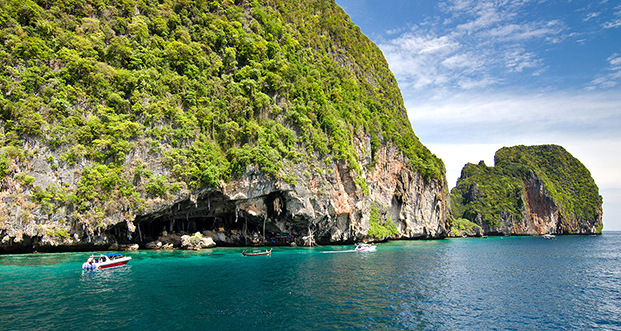 A must-visit is Phi Phi Islands’ Monkey Beach, Maya Bay, Pileh Lagoon and Viking Cave. Exquisite! Acknowledged as the most relaxing part to be in all of Thailand, Krabi offers beautiful white beaches stretching on for miles, and over 200 islands just off the coast. Inspiring! 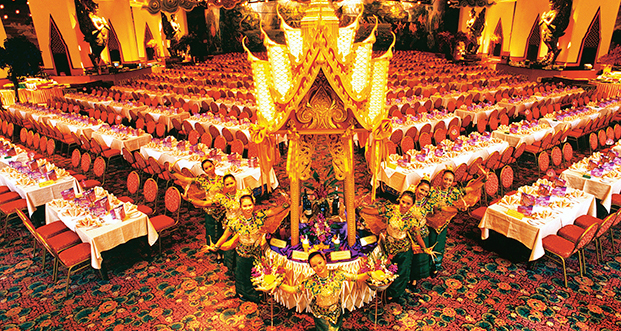 Phuket’s Fantasea show, inspired by Thailand’s rich and exotic heritage, combines the charm and beauty of ancient Thai traditions with cutting edge presentation. Acrobatics, illusions, pyrotechnics, aerial stunts performed by cast and crew of over 400 people, 44 elephants, three tigers, 40 goats, 40 chickens and 400 pigeons… it’s an unforgettable experience. The Alcazar show, dubbed the greatest show in Asia, stuns viewers with its fabulous costumes, beautiful ladyboys, spectacular stage sets and non-stop entertainment. 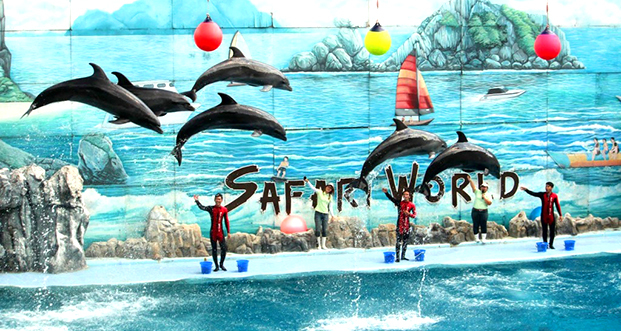 It’s high excitement with Kesari Tours at Safari World and Marine Park, as you enjoy the Orang Utan Boxing show, Sea Lion show, Hollywood Cowboy stunt show, Dolphin show and Spy War show. Watch wildlife up close and beautiful with giraffes, zebras, tigers and lions in their natural glory. 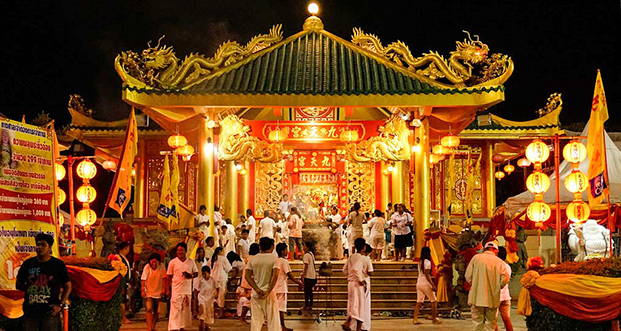 Visit the most revered Wat Chalong temple at Phuket and marvel at its ancient structures. Absorb the peace of the Buddha in Bangkok city as you view the Golden Buddha followed by the Principal Buddha and Reclining Buddha. At Krabi’s Tiger Cave visit the many temples and pilgrims within its ancient interiors. 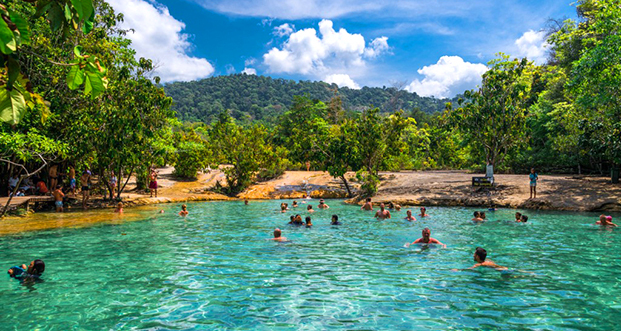 Tall trees, pure emerald waters and beauty unparalleled are on view at the Thung Teao Forest Natural Park, Krabi. Seeking a glorious sunset? Experience it at Cape Promthep, at the southernmost point of Phuket island. Whether the brilliant jewellery at the Gems Gallery, Phuket, or shopping at Indra Square, there is much to tantalise the shopper’s heart. 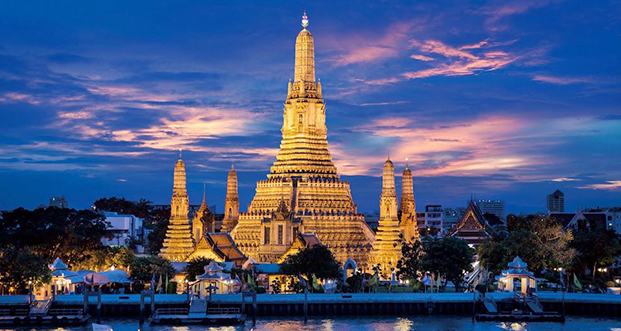 Let your hair down as you enjoy dinner and live music on the Chao Phraya River Cruise and what could beat a Scientific Thai Massage, to ease all the tiredness and tension out of your body and soul! Next Post Festivals Around The World This April!